We are happy to report that exactly a week ago the first SentiOne’s live webinar in English took place. The host was our Marketing Director – Magda Ciszewska who shared best practices that she’s been gathering for 15 years of working in marketing. protect and improve your brand image. Big, big thanks to those who were there with us! Thank you for your interest and support! We strongly encourage you, though, to register the next time because it’s a very good opportunity to ask questions and get the answers on the spot. Yes, there are some more webinars to come. Keep your eyes open! For all of you who got interested in the subject or want to know more after watching the webinar, we have a bonus surprise! 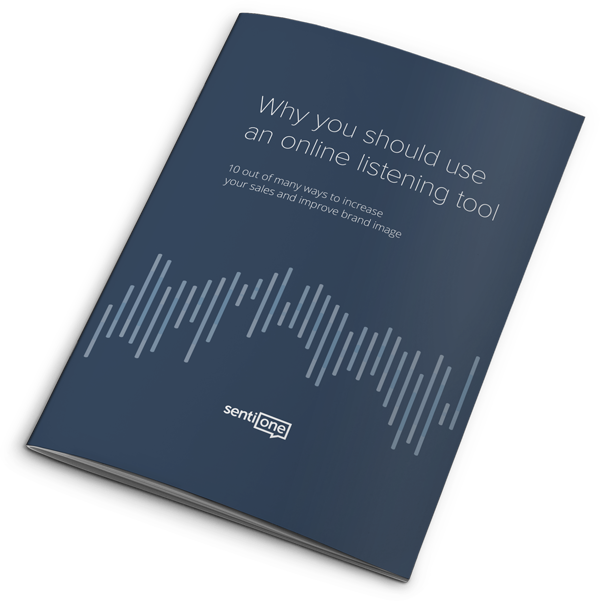 If you want to get real-life uses of SentiOne and find out Why you should use an online listening tool, click below and download the ebook! You don’t have to be 007 to master the business intelligence!